MUFG Union Bank, N.A. (“MUFG Union Bank”) started on their external talent management journey in 2010, when they decided to put a program in place to manage their contingent labor in the U.S. At the time, they didn’t have a view of who was working for the bank, where they were, or what they were doing. While they wanted a provider with proven capabilities in financial services, they also were looking for one that would provide a great user experience, as they knew it would be a big change internally. They sought input from suppliers, vendors and customers. They chose to work with SAP Fieldglass and decided to self-manage their program. 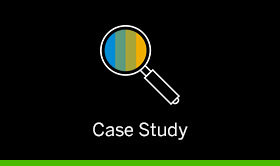 Download the case study [ , 2.7M] to learn how MUFG Union Bank gained greater visibility and transparency with SAP Fieldglass.